"An insightful, entertaining, brainiac sports road trip." "Foer’s skills as a narrator are enviable. His characterizations… are comparable to those in Norman Mailer's journalism." 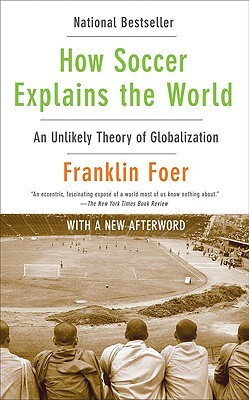 A groundbreaking work—named one of the five most influential sports books of the decade by Sports Illustrated—How Soccer Explains the World is a unique and brilliantly illuminating look at soccer, the world’s most popular sport, as a lens through which to view the pressing issues of our age, from the clash of civilizations to the global economy. Franklin Foer is the editor of The New Republic. He lives in Washington, D.C.